Pre-owned vehicle pricing includes all offers and incentives. Tax, Title and Tags not included in vehicle prices shown and must be paid by the purchaser. While great effort is made to ensure the accuracy of the information on this site, errors do occur so please verify information with a customer service rep. This is easily done by calling us at (888) 868-2301 or by visiting us at the dealership. This vehicle is being sold “as-is”, unfit, not e-tested and is not represented as being in a road worthy condition, mechanically sound or maintained at any guaranteed level of quality. The vehicle may not be fit for use as a means of transportation and may require substantial repairs at the purchaser’s expense. It may not be possible to register the vehicle to be driven in its current condition. 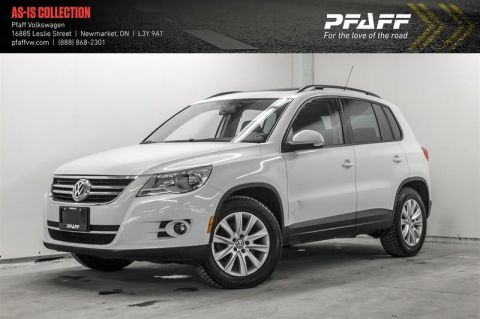 Be the first to come see this vehicle at PFAFF Volkswagen and check out our Pre-Owned inventory at www.pfaffvw.com or call 1-(888) 865-1569. 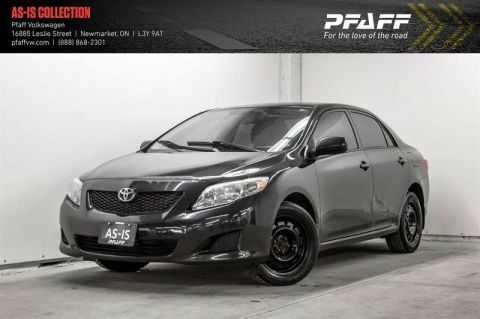 This black on black Toureg comes Alloy Wheels, 2nd Set of Wheels, Front Fog Lights, Roof Rails, Steering Wheel Controls, AM/FM/SAT Radio, CD Player, Proximity Sensors, Dual Zone Climate Control, Leather Interior, Powered and Heated Front Seats, Powered and Heated Side View Mirrors, Powered Sunroof, Traction Control and so much more! 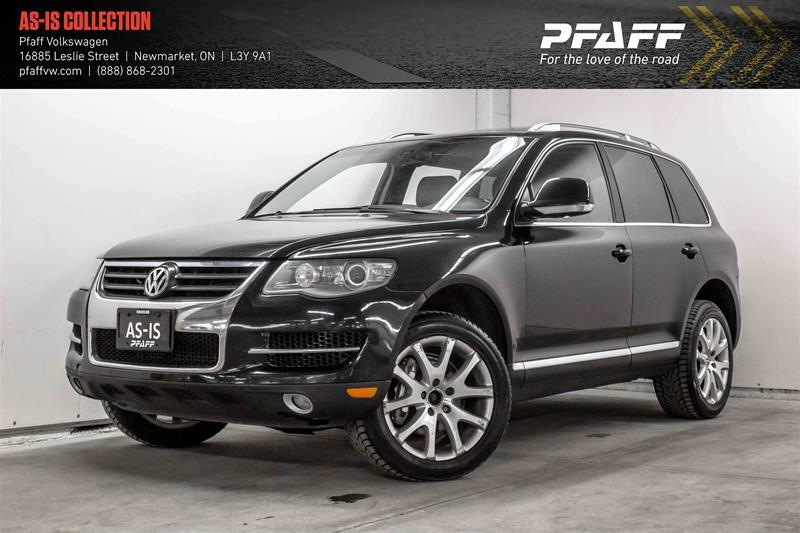 Pfaff Volkswagen is one of the leading Volkswagen dealers in ON. Our facility features a massive car showroom dedicated to new and used cars. We offer used cars of all years, makes, and models. With our open concept, you get a feel for the exceptional customer service you will receive as a Pfaff Volkswagen customer.